Arthritis affects 1 in 5 people living in Ireland today. It does not discriminate between young or old, male or female. It limits mobility, steals ability. are living with arthritis, making it the single biggest cause of disability. On 11 May, Arthritis Ireland President, John O'Flynn, will lead a group of walkers to complete the Camino de Santiago in Spain. 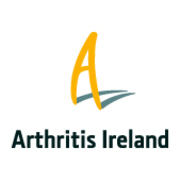 John and the team need your assistance to help raise much-needed funds for Arthritis Ireland. Your contribution will be used to support people living with this chronic condition to live their lives to the fullest. It will also fund research to find a cure for this debilitating disease. On Sunday 2 June, will you join Gráinne O’Leary, Chief Executive of Arthritis Ireland, Dr Sinéad Harney, President of the Irish Society for Rheumatology and consultant rheumatologist at Cork University Hospital, plus 40,000 women to walk, jog or run the 2019 Vhi Women’s Mini Marathon? Together, we are taking part to honour our loved ones, our friends, ourselves; and you joining us to do the same would make it even more meaningful. This year, more than ever, we need you to join Team Arthritis Ireland. There are 1 million adults and 1,200 children in Ireland who are living with arthritis. We need you to join us on 2 June and raise badly needed funds, so that we can continue to support people living with arthritis to live their lives to the fullest, and to invest in research to find a cure for this chronic disease. Will you help us take the next steps to fight the pain of arthritis? Register today on our website to join Team Arthritis Ireland. Please don’t forget to register for the event itself on the Vhi Women’s Mini Marathon site.